LiCCo | Living with a Changing Coastline.. Living with a Changing Coast? 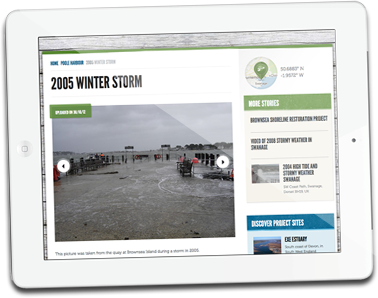 We are a cross-channel project helping coastal communities to better understand and prepare for the impacts of climate change, including sea level rise and erosion on their coastline. Partner organisations from Devon, Dorset and Normandy are working together on this part European-funded project, led by the Environment Agency.